premium tea flavours and unique brews. We guarantee every cup is authentically brewed and filled with freshness. We strive to satisfy and excite your taste buds with the introduction of fruit tea and soft European bread to the Australian market. we are bringing a new tea experience to this multicultural city. but also a rule breaker; bringing authentic tea culture and new, exciting blends to Australia and New Zealand. The TEASER team was introduced to Australia by China and localed in Melbourne. TEASER is an artist who specializes in exploring tasty tea. We do more than bubble tea. For you, unique, natural and freshly brewed tea with a refreshing taste are provided in TEASER. Inspired by the spirit of coffee in Melbourne,we are spreading the harmony by creating Chinese new tea. In 2017, the TEASER team returned to China and traveled through cities to find the best quality tea. We force to present the world's best tea from China, and let the traditional tea culture shine. While inheriting the traditional tea culture, TEASER also pays great attention to make innovation by creating independent products. 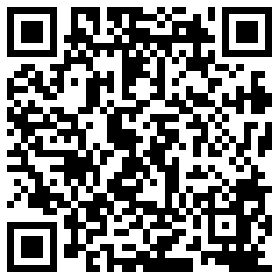 Search or scan the code to follow our WECHAT, receive our up-to-date information and products. If you have any questions or suggestions, you can send WeChat message or email us, we will contract you as soon as possible.